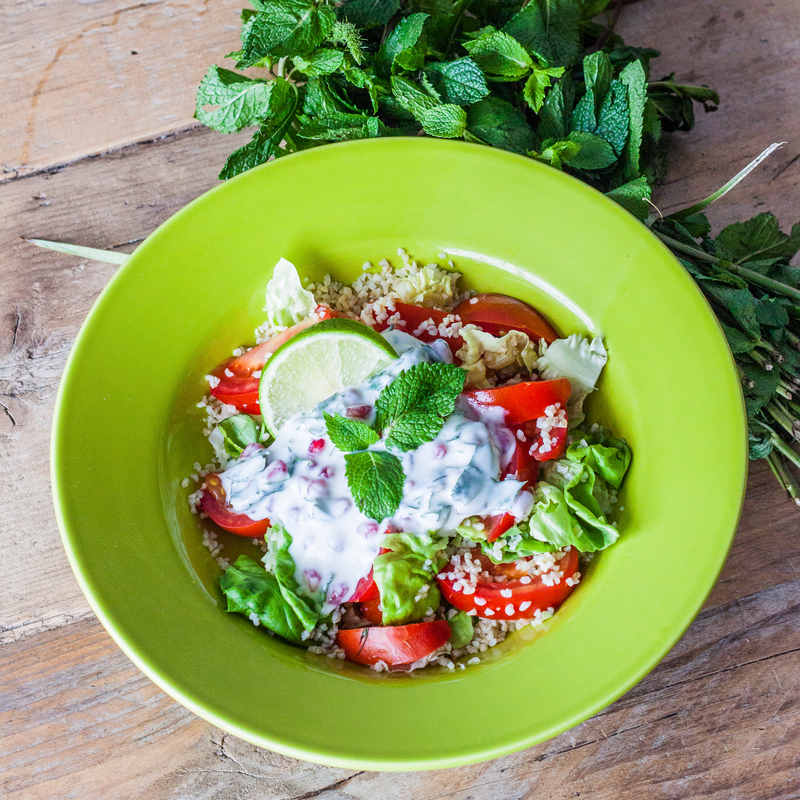 Soak the bulgur, cut the tomatoes into slices and chop the mint. 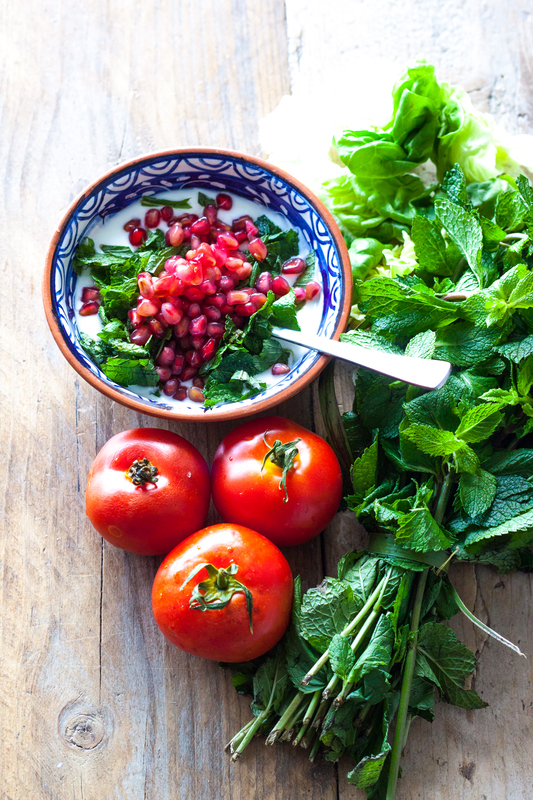 Put the green leaves in a big bowl, add the tomatoes, yogurt, pomegranate seeds and the lime juice. Last, add the soaked bulgur and stirr. Enjoy! Note: I’ve made this salad again and added a mix of chopped mulberries, goji berries & almonds for an extra crunch. That made the big difference – it’s perfect now :). Follow me on Pinterest, Instagram & Facebook for more inspiration and recipes.